Cracking in asphalt pavement occurs when traffic and temperature fluctuations create strains that somewhat-elastic pavement cannot accommodate. Preventive maintenance can help extend the life of the road and create a smoother ride for motorists. Crack sealing keeps water out; however it does not resurface an entire street. 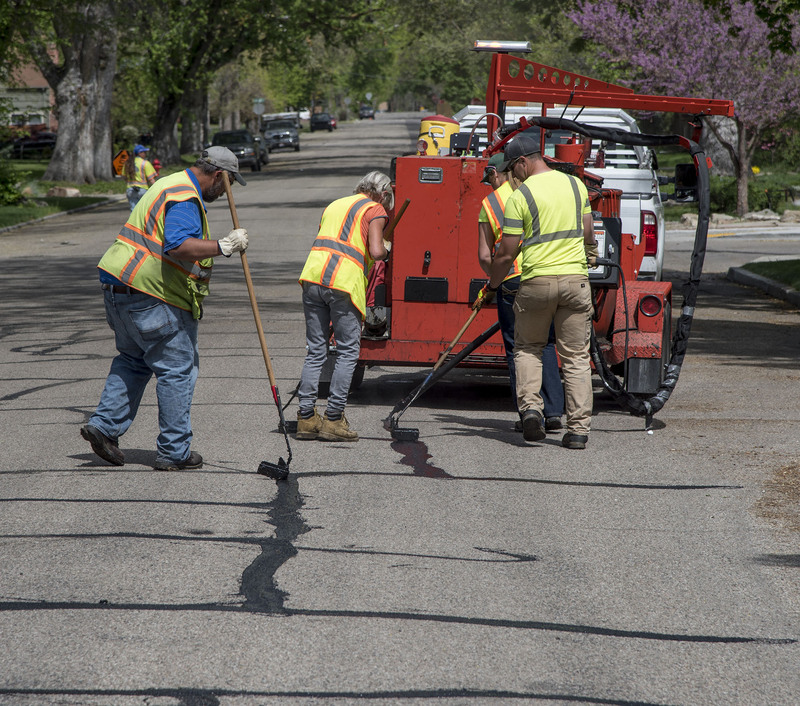 In 2012, ACHD broadened its crack seal maintenance efforts, opting to seal cracks on all streets, including those that do not warrant a full chip seal; instead, the program assesses streets on a case-by-case basis. Crack sealing can help extend the life of a roadway, reduce pavement failures, deterioration and potholes. This form of preventive maintenance can save money by delaying major reconstructive pavement work. Crack seal is a hot, sticky, rubber and asphalt material. It does not resurface the entire street – it just fills the cracks. The sealant forms a long-lasting, resilient seal which is flexible and expandable in varying and extreme pavement temperatures. It takes only a few minutes for each filled crack to cool, and shortly after the sealant is applied cars are allowed to pass over the treated area. Impacts to residents and motorists are minimal with crack seal maintenance. Though there may be other contributing factors, potholes are generally created when water gets into the base material of the road, weakening the structure. Traffic moving over the poorly supported asphalt surface then causes the road to begin to disintegrate, creating potholes. Since ACHD’s creation in 1972 our goal has to been to respond to potholes withing 24 hours. If you happen to find one, please let us know and we will take care of it.